Aspire’s chiropractors have treated many patients suffering from neck pain utilizing chiropractic, physical therapy, spinal decompression, and deep tissue laser. We have treated many neck pain sufferers just like you and have helped many of them regain their quality of life. If you're suffering with neck pain call Aspire to set up a free consultation with one of our chiropractors to see if we can help. Neck pain is a common ailment that affects 50-70 percent of the population at some point in their life. 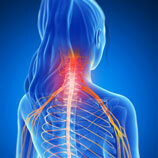 There are a number of potential causes of neck pain ranging from poor posture, a pinched nerve, to whiplash. Neck pain is commonly caused by repetitive strain from prolonged sitting postures. 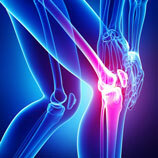 The pain is mechanical, coming from either the muscles, joints or ligaments 85 percent of the time. Fortunately, neck pain is rarely caused by a serious medical problem and such causes can be ruled out by a thorough history and examination from your chiropractor and health care provider. Decompression therapy, in many cases, has greatly alleviated the neck pain that our chiropractic patients experience due to neck issues such as a bulging, degenerated, or herniated disc. The reason why our chiropractors use decompression therapy is that it has shown to have positive long term effects and created the optimal opportunity for permanent healing. A type of traction therapy, decompression therapy works to reposition the affected discs and to lessen the pressure on that disc, so that it can receive the body’s natural healing properties and substances. Decompression therapy is one of the cutting-edge physical therapy techniques we use to help our patients have short-term alleviation of pain and long term healing so that they can get back to living their life unimpaired by pain and injury. 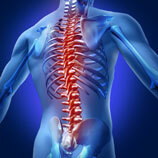 Aspire’s chiropractors have treated many patients suffering with neck pain. Whether you’re suffering from a bulging or herniated disc, stiffness, restricted motion, shooting pain down your arm, or just chronic neck pain, our chiropractors and physical therapy professionals in Topeka may be able to help. Trust your care to a team of experienced physical therapy professionals that use the most advanced medical equipment in the state of Kansas. If you are suffering with neck pain, call Aspire to set up a Free Consultation to see if we can help. We know that when you’re in pain you need help now! We strive to get patients in for treatment within 48 hours if not sooner.